Closed-door talks are on-going between the U.S. and Australia, Brunei, Canada, Chile, Japan, Mexico, New Zealand, Peru, Singapore, Malaysia and Vietnam; with other countries, including China, potentially joining later. 600 corporate advisors have access to the text, while the public, Members of Congress, journalists, and civil society are excluded. And so far what we know about what’s in there is very scary! For detail, we recommend watching the Bill Moyers and Democracy Now TPP episodes linked herein. Thanks to a little-known provision called “investor-state dispute settlement,” corporations would rise to the level of nations and be empowered to sue governments directly over environmental protections that they claim might hurt their profits. Similar provisions in other trade agreements have allowed corporations to do this. For example, Lone Pine Resources is using investment rules under the North American Free Trade Agreement to sue Canada for $250 million. The crime? A moratorium on hydraulic fracturing, or fracking, might slow down the greedy company from raking in more profits. 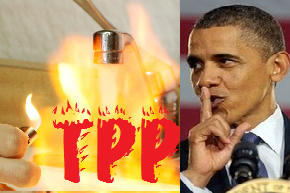 The Trans-Pacific Partnership could also threaten clean air, water and land here in the United States. It would strip our government of its ability to manage exports of natural gas, opening the floodgates to more fracking here at home to satisfy foreign markets like Japan. The Obama administration has professed a desire to wrap up negotiations in the near future, and is asking Congress to pass “Fast Track Trade Promotion Authority,” which would give legislative authority to the administration, and Congress would only get an up or down vote on the final agreement negotiated by the administration. Please CALL YOUR REPRESENTATIVES and tell them to vote NO on Fast Track Authority. To find out where your Congressional Reps stand, go to the ExposetheTPP website and see if they have signed the DeLauro letter affirming an anti-fast track position.